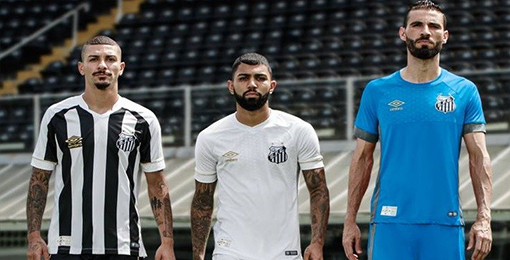 If you want to buy cheap santos shirt for 2018-19 season, buy it here in cheap-football.com , Check our exclusive range of santos Football Shirts / Soccer Jerseys and Kits for adults and children at amazing prices. Get the cheap santos jersey shirts, soccer kits with wholesale price, Free Shipping Worldwide! Santos is a soccer club in the Brazilian city of Santos, in the State of São Paulo. It was founded on April 14, 1912 and plays in the Brazilian Serie A Championship. Santos is one of the few clubs that has never been relegated to the B Series of the Brazilian Championship. It is one of the largest and most important clubs in Brazil.Santos is one of the most popular teams in Brazil. According to data from the DataFolha Institute, published on February 2, 2006, Santos has the sixth-biggest fan in Brazil with 4% of national preferences.